If you have an older air conditioner that was manufactured before 2010, it's worth taking some time to learn about the features, benefits and reasoning behind the use of alternative refrigerants. If your system ever develops a leak, for example, you'll have to make some decisions about whether to repair, replace or retrofit. It's going to become increasingly tricky, and expensive, to top your older system off with a refrigerant like R-22. Cost isn't the only factor to consider, either. At their most basic level, alternative refrigerants restore functionality to your air conditioning system. They're better for the environment, are more affordable than refrigerants like R-22 and using them will make repairing and maintaining your air conditioner much easier. Why Are Alternative Refrigerants Better For the Environment? One of the most impressive benefits of alternative refrigerants like MO99, R-410A, and others is their decreased impact on the environment. Before today's alternative refrigerants, we used hydrochlorofluorocarbons (HCFCs) like Freon®-22, or R-22. HCFCs are less damaging than previous refrigerants, but they still "survive" in the Earth's ozone layer for 2 to 40 years. Because they're damaging to the Earth's ozone, the EPA mandated their phase out with the Clean Air Act of 2010. R-22 will be completely phased out by 2020 when production will stop entirely. 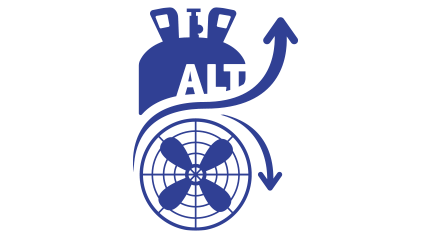 Alternative refrigerants fall under the category of hydrofluorocarbons (HFCs). They contain no chlorine, which is great news for the Earth because they don't deplete the planet's upper atmosphere. To understand why chlorine's impact on the Earth's ozone layer is so damaging, it's helpful to understand the basics behind "What Are Refrigerants?" Why Do Alternative Refrigerants Cost Less? 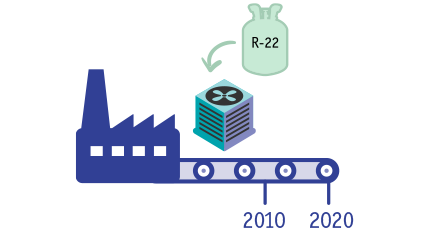 As mentioned, the production of R-22 is being drastically reduced because of the harmful impact it has on the environment. As the supply of R-22 diminishes and it becomes harder and harder to find, the cost will continue to rise. Since the beginning of 2016, the price of R-22 has more than doubled in cost. As we get closer and closer to the EPA's mandated end of production date for R-22, this number is expected to only increase. Alternative refrigerants, on the other hand, are readily available and are not burdened with the production restrictions associated with R-22. This means the supply remains constant, creating far more competitive prices for the consumer. 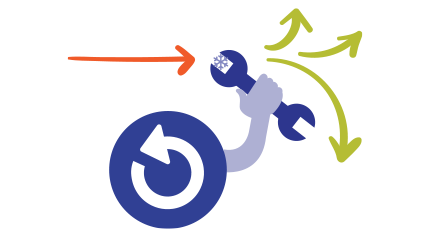 Why Do Alternative Refrigerants Make it Easier to Repair or Maintain an Existing System? One of the biggest challenges service contractors encounter is ready access to the parts needed to fix or maintain an air conditioner. With limited supplies of R-22 available, it can be extremely difficult or even impossible for service contractors to get their hands on a supply. This lack of availability can mean long delays in getting a repair completed and cool air blowing again. Since R-22 is becoming so expensive as the government continues to phase out its production, contractors are having a more difficult time tracking the compound down. R-22 is expensive and hard to source, but alternative refrigerants are widely available. Using them will help get your home cooler, faster. All homeowners know that repairs are a cornerstone of owning a house. R-22 is becoming obsolete, and moving to an alternative refrigerant the next time you need air conditioner repairs will make future repairs easier and faster (which means you get a cool house faster!). At their core, alternative refrigerants restore your air conditioner's functionality in a way that is in many regards better, faster and more affordable than being "married" to R-22.